Not long ago I came across a very active discussion on ForbesWoman with this "burning question:"
"What are the top 10 things you think all women need to learn to master to succeed in life and work?" Here's what I observed about the replies. As you might expect the VAST majority of the answers had to do with enhancing personal greatness. Solid gold advice such as: believe that you're capable, take control of your life, discover your purpose, learn constantly, appreciate life, know your priorities and master emotions. The second most common answers had to do with engaging others. These were significantly fewer of these comments which included: network strategically, delegation, ask for help, and teamwork. There was virtually no guidance on the importance of developing and demonstrating business, strategic and financial acumen - out of 63 commentaries - many with multiple answers, there were about 3. I am disheartened by this because remember the question was what do women need to master to succeed in life AND WORK. 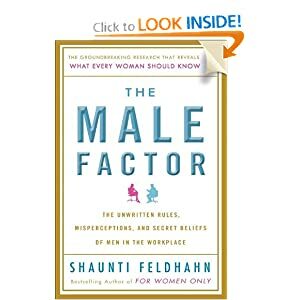 Shanti Feldhahn points out in her book, The Male Factor, that women and men view the world differently - and this discussion illustrates her point. Women view the "work world" as a smaller circle within a larger "personal world" circle. The assumption derived from this view is that if we constantly work on enhancing our personal greatness we will inevitably succeed at work. 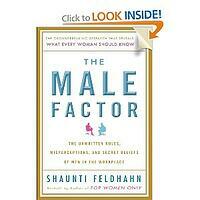 Men view the "work world" and the "personal world" as separate circles, each with its own set of rules. And while to me this is a less appealing construction, to ignore it in our search for career succes is perilous. While it is true that honing our personal greatness will lead to success in life, it is simply not true that enhancing our personal greatness will naturally lead to success in work. As you know by now, success at work requires the development and demonstration of business, strategic and financial acumen. But that's not what I added to the discussion. To understand the difference between personal, professional and leadership excellence and act to develop all three. Here's what I meant and why this advice is so powerful. Imagine 3 concentric circles. At the center is personal excellence. Personal excellence is the core of what we need to navigate career and life successfully. All the advice about personal greatness is important here and working on this is fundamental. I know a woman who has twice run away from tough feedback. While she will continue to achieve a certain level of success...it's obvious that she is limited because she hasn't embraced the feedback. The second circle surrounding personal excellence is professional excellence. Professional excellence involves mastering one or more domains of action for example engineering, human resources, scientific research and/or parenting. This entails acquiring the body of knowledge, staying current and honing related skills such as your interpersonal skills. As I'm writing I'm thinking of Lynn Elsenhans, CEO of Sunoco who took increasingly responsible positions in industry organizations as she progressed in her career. The third circle is leadership excellence...and, as you know, this draws on personal excellence/greatness (including professional skills) but requires that you go further to hone business, strategic and financial acumen - not to mention strong engagement skills. This calls to mind Anne Mulcahy who as she assumed the responsibilities of CEO of Xerox was aided in developing financial acumen by an employee in the finance department. Or of Ginni Rometty, who received mentorship on developing external strategic relationships in the months before stepping into the CEO role at IBM. As I point out in No Ceiling, No Walls , putting on the mantle of leadership is absolutely necessary for success at work - no matter your level. The demands of today's volatile marketplace means that everyone is paid to lead - to use her personal greatness to achieve and sustain extraordinary outcomes by engaging the greatness in others. By all means, lhone your personal greatness or excellence. And continue on. Cultivate your professional excellence and your leadership excellence. These together will help you succeed in life and work.